Tracking Harness in Nylon for Your Dog | K9 Best Harness! 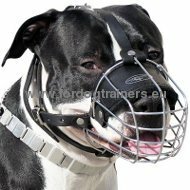 Amstaff Wire Muzzle Super Light&Comfortable! 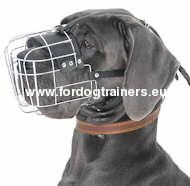 Dog Muzzle for Walk and Vet Visit! Leather Perfect! For Dog Trainers has been on the market for you and your dogs since 1995. Your satisfaction is our main priority in running our family business. You will most likely be surprised by the personal touch we provide our customers. We love and understand dogs, and we know what you and your dog need. 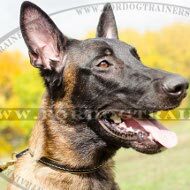 We have hundreds of customers around the world using our top notch dog training equipment, and we hope to make you one of them! Our products have been created with love, tested and approved by professionals. 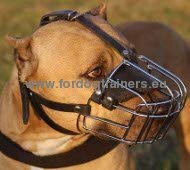 In this article we will tell you about different dog harnesses types, that differ by functionality and other factors. So, the moment has come that you need a harness for your dog. 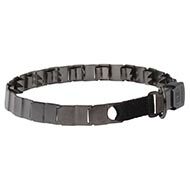 And now you are searching for a guide to give a tip, what type of dog harness to choose. 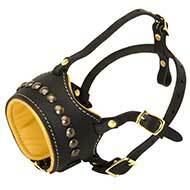 From the very beginning you need to specify the main purpose for purchasing dog harness. A dog walking harness will assist you in better control of your dog. 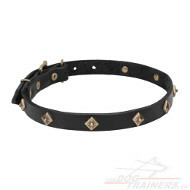 It is the right item for dogs of well obedience, which have slight behavior deviations such as aggression toward strong dogs, strong prey or hunt drive. 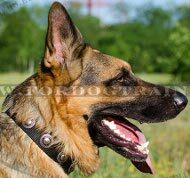 While there are many tools and techniques for dog behavior corrections such as choke and shock collars and pinch/prong collars, we observe a dog harness as the most humane choice to apply correction acts to your dog if needed. The main base is that the harness will in no way hurt your dog , it will just give an opportunity for you to keep your dog where you want your dog to be situated while using a correct amount of strength. Attack/ protection training is one of the most popular ways to use a dog harness for training. 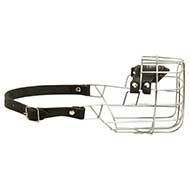 Well-made durable harnesses may be used for sports, police training, protection training, KNPV training, Belgian and French ring sports. What makes a training harness good is its padding. Padding is essential for a dog’s comfort, strength and durability and therefore the trainer feels safe. Also it balances the pressure from throat/ trachea zone towards the chest zone. 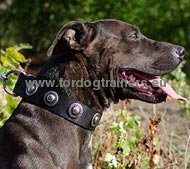 A dog training harness, that is well-fitted, helps the dog breathe right and with correct intense training the dog will stay focused longer in the training session. For better control of the dog we offer an option to attach a handle, which is situated on top, to the harness. 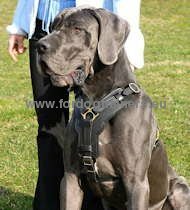 Dog harness for training – there are many different ways to train your dog. One should consider an dog harness for assistance if your dog provides physical or mobility assistance. This harness is reinforced with extra padding on the breast area in order to provide the comfort for your dog. The dog harness’ general durability and sturdiness depends on whether the dog guides a person gently, acts as a brace for the assisted person or actually pulls a wheelchair. Wheelchair pulling must also involve a change of design and this change must be similar to a sled dog harness structure. Dog harnesses for rehabilitation are used to help injured dogs get through period of therapy and get well. These harnesses remove pressure and tension from the problematic zones, some of these dog harnesses may be connected to a special wheelchair, which help the dog move in cases when the hind legs are injured. You can also use the handle located on the top to assist in lifting your dog up and down the stairs or to vehicle. 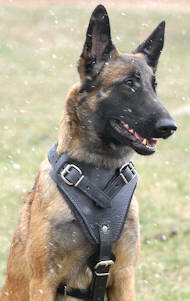 A dog harness for tracking is usually used for both sports and rescue/ search actions. 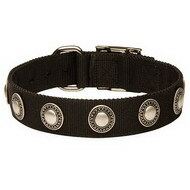 It necessary for you to make sure that your dog’s movement is not limited by the harness design. 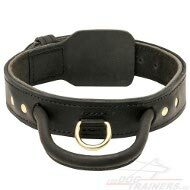 The tracking harness should be with the light weight and be padded preferably. A light weight harness will ensure longer tracking distance and the padding will assist in avoidance of irritations in the most sensitive zones. 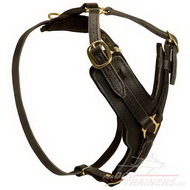 The tracking harness is made of leather or nylon. You should choose a dog harness of nylon if you are going to use it in contact with water. The majority of working dogs breeds can learn pulling a dog harness. Subject to the climate and weather in your area you may choose between a nylon pulling harness and a leather harness for pulling. One should use the nylon pulling harness while it is raining or snowing, in general in the high humidity conditions. 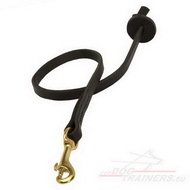 As far as a leather pulling dog harness is concerned, it is from natural materials. It is better-looking on a dog and also shows in some way the owner’s social status. One may use a pulling dog harness for doing exercises with your dog by adding different objects to it such as a wooden box with bricks, sand or stones inside and die to it your dog works hard while pulling those objects. You may also add to the harness car tires of different weights and sizes. Some customers prefer jog, bicycle or roller-blade by being pulled by their dogs. For this fun acts one should be very careful and approach to them with highest possible responsibility for your dog and yourself. There are more advanced classes of pulling dog harnesses, which are used for dog pulling contests. 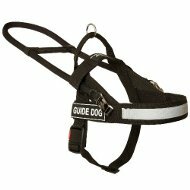 Dog harnesses for guidance are specially constructed for dog to feel comfortable and to allow full handle usage as part of the connection between the guided person and the guide dog. Vest harness / Coat harness is the class of the dog harness, which is made of cold resistance material and will keep your dogs body warm during the cold winter weather. The harness is made with a handle on the top so you can help your dog, when the snow is too deep and you can certainly add a leash to the ring, which is stitched into the harness, therefore there is no need for your dog to wear a regular collar. Here you may use links to be acquainted with the high quality vest / coat dog harness. Police, military, search & rescue, patrol, security and many other working dogs should wear an ID dog harness as part of regulations of working environment. 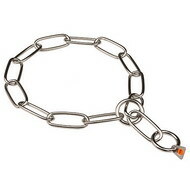 An identification dog harness is a must-have item for many working environments. 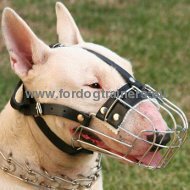 Resembling dog harness can be used, for example, when you don’t want strangers to pet your dog. 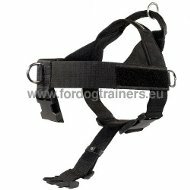 Fordogtainers offer ID dog harnesses with removable Velcro patches. Some of the patches say: “security”, “police” etc. While others say: “do not pet”, “do not feed”, etc. Dog harnesses for older dogs’ assistance are similar to rehabilitation variant of harness and mostly used to help older dogs reach higher ground, climb the porch or stairs or get into the vehicle. In conclusion, designed and decorative dog harnesses can bring much color into your dogs’ life. While these fancy harnesses single out your dog, we make sure first and for most that these harnesses are functional. We attach a better control handle, attach padding and make it natural and suitable for your dogs body. Your dog deserves to have a fine look.